Lord Ganesh is the dearest of all Gods that Hindu community believe in. An amazing gift idea that goes well with the occasion is the idol of Lord Ganesh, which in itself is divine. Breathe in Good luck in your homes by putting up the metal artifact of a golden Lord Ganesh on your door, wall or foyer. Designer leaf with Ganesh is made of Metal and finished with gold polish. Nestled in a golden leaf, this item is truly attractive for its innovative and compact design. 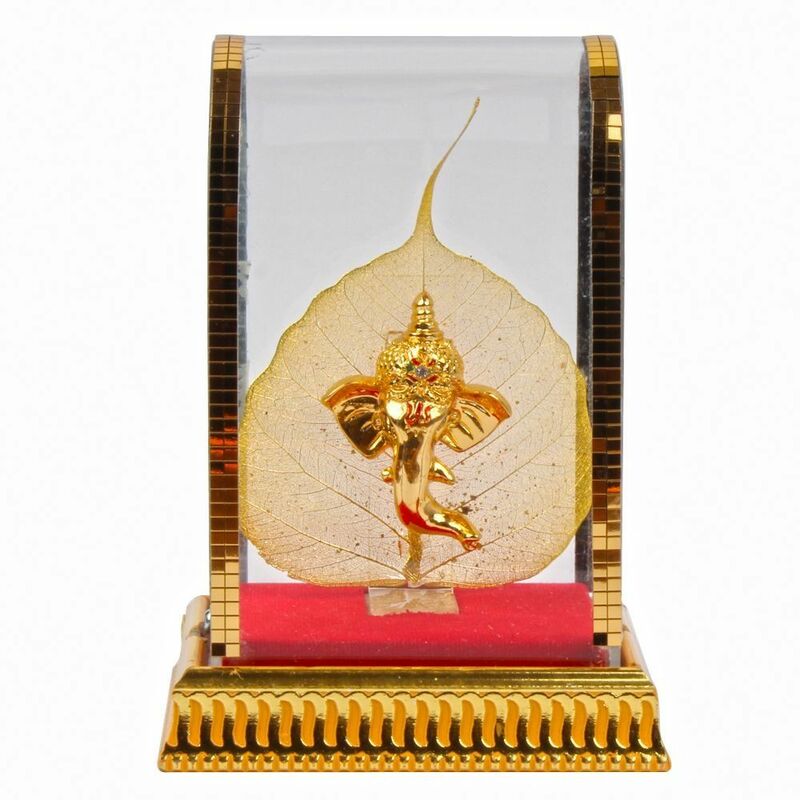 Leaf Gold Plated Lord Ganesh Face Covered By Glass Cabinet.